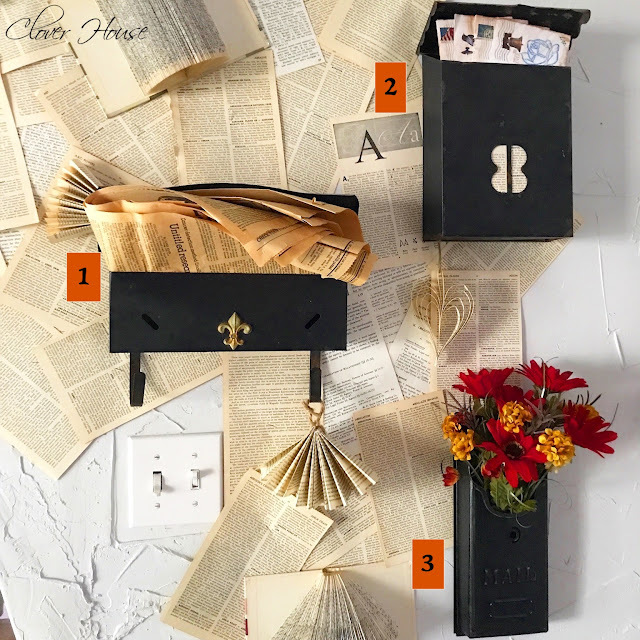 Vintage mailboxes and old book pages, what could be better? Not much! Well ok, maybe chocolate cake, but that's about it. I've had this idea for quite some time, but I had to collect my mailboxes first and well, that takes a little while to do and to make sure you get just the right ones. When I started planning my wall I knew I wanted mailboxes and book pages on it and that was about it. I also knew I wanted to change it up with the seasons or holidays, we'll see how that goes! My Instagram followers may get tired of seeing my mailbox wall real fast because I am in love with it and can't stop staring at it! Weird? Probably! Like I said, first I collected my mailboxes. 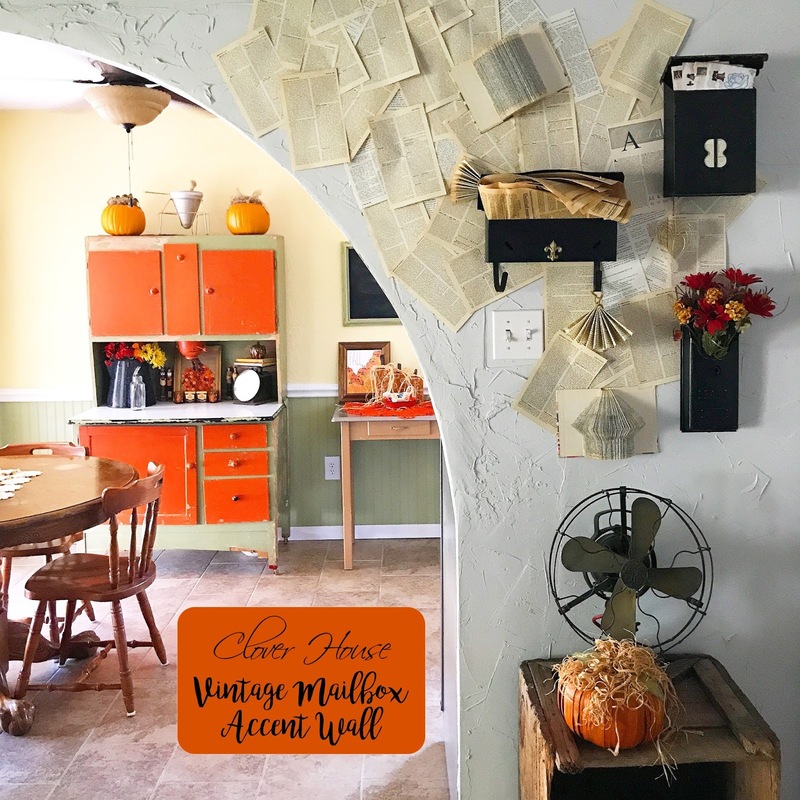 Who knew there could be so many different mailboxes and also who knew that some people think their vintage mailboxes are worth millions! Sadly, my budget doesn't allow millions to spend on old stuff, so I kept on watching and waiting! The long one on the left reminds me of my Mama's mailbox. She still uses it. I always loved getting the mail as a kid, but I think that's a kid thing huh? When you're older and adulting, its no fun anymore! Somebody keeps putting bills in mine, can you believe that? As I saved and added to my mailbox collection, I was perusing Pinterest for different ideas to add to my wall. When I searched "old book pages", the book art popped up and I was running to find my books I had stashed. These books are really small. Perfect size for my wall. This fold is the easiest ever. 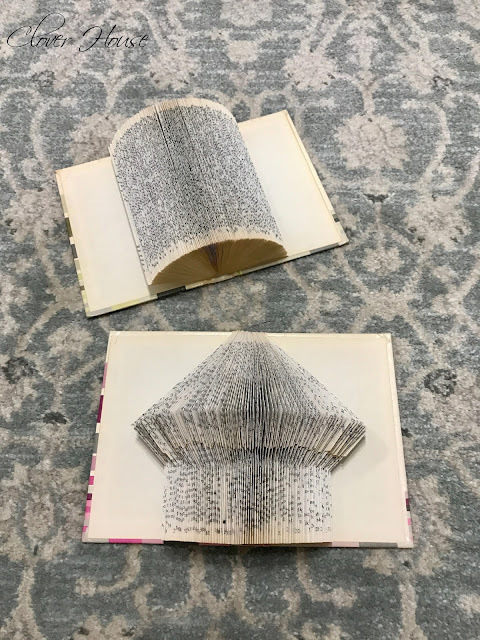 You literally fold the pages in half from front to back and you end up with art! The second one I did is called "bird house". Its a bit more tricky and you do have to pay attention to what you're doing. To see how its done, click right here. Mine are not perfect, but pretty good I guess. I like them and they look great on my wall, and that's all that counts. Book page folding is a bit time consuming but you can sit and fold pages while you're watching TV, that's what I did. See the old yellow newspaper in the mailbox to the left? That newspaper is a Christmas edition from the Fort Worth Star Telegram, December 21, 1977. It came out of the storage space in the ceiling of my office at work. I'm the only woman in an office with all guys and they thought I was a bit crazy for wanting to save the poor old newspaper, but see, it came in handy for my wall! 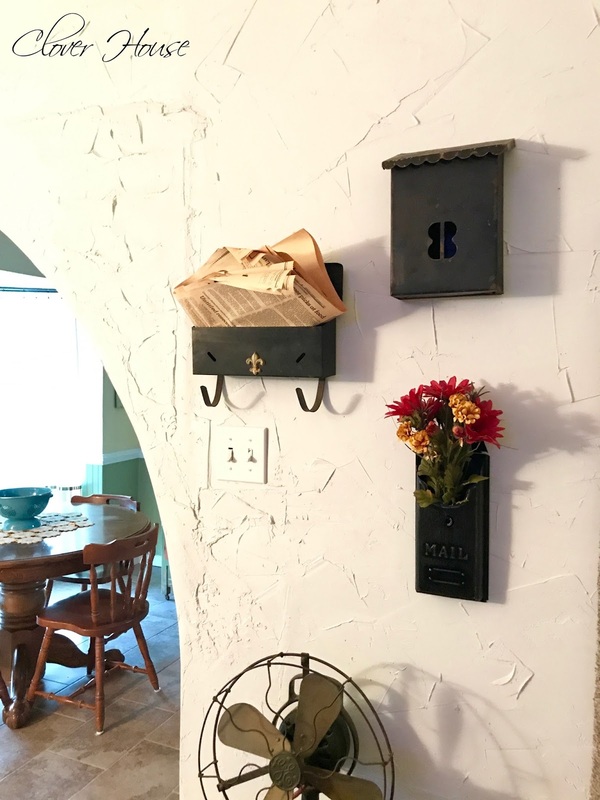 The letters in the top right mailbox are real letters from my honey. When he noticed that I had placed them there, he said "awww, so sweet". He's the sweet one because he's always willing to jump in and help me create all my weird ideas. CRINGE ALERT: lol! I added all the book pages to the wall with my desk stapler. It was the easiest way that I could think of to make sure that the pages would stay up on the wall as I placed them. I have lots of old books, its something I like to craft with. You can always find them at the thrift shops and sometime yard sales too. I just grabbed one that was really yellowed and started pulling out pages. I used a few pages out of a book with whiter pages too. Some I left with the torn edges and some I trimmed with my paper trimmer. 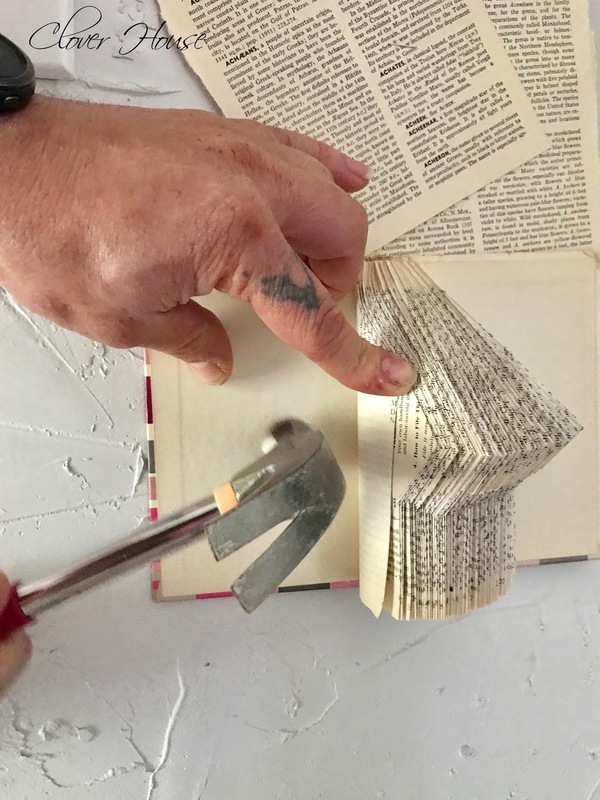 We added the book art to the wall with little short nails and a good ole hammer, just one on each side was enough to hold them in place. Now I bet you are wondering where I got all my mailboxes aren't you? 1. $27.00 The one on the left is from a sweet Instagram friend Kayla, she owns jack and maryjane antiques and will be glad to help you find what you're looking for. She's a doll! 2. $18.00 This one is from an Etsy shop called Atomic Phenomic and Suze has lots of good vintage stuff for your shopping enjoyment! 3. $14.99 This one is also from Etsy and it came from a shop called Nitty Gritty Vintage where Donna also has loads of vintage goodness to shop through! Be sure to check out all three of these ladies, because you will not be disappointed if you like the old stuff as I do! 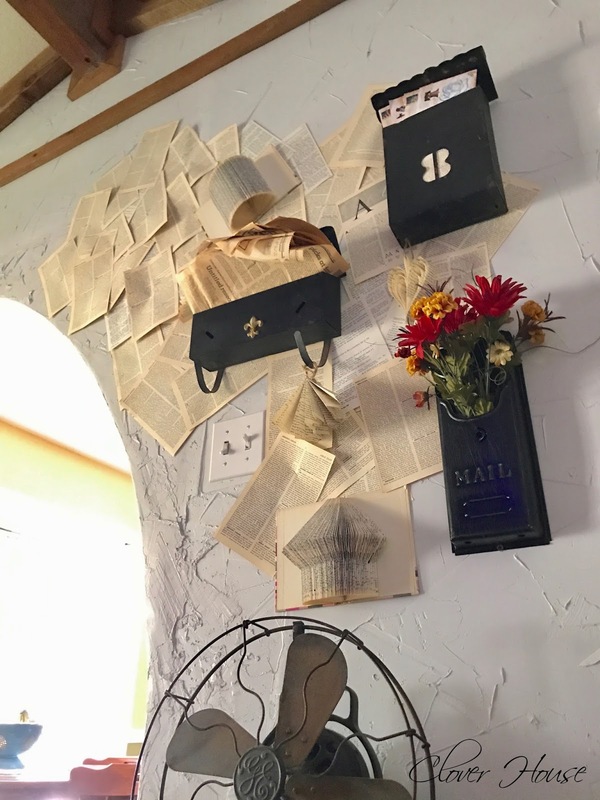 What would you put in the mailboxes if you created a wall like this? I need all the ideas I can get because I plan on changing them up often. 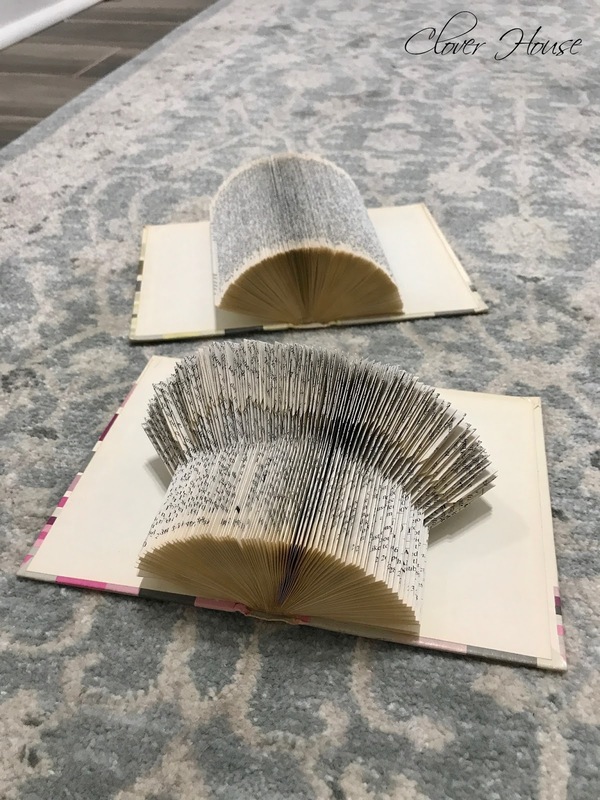 Want to see what else I've done with book pages? Dee Dee I think you are so creative. 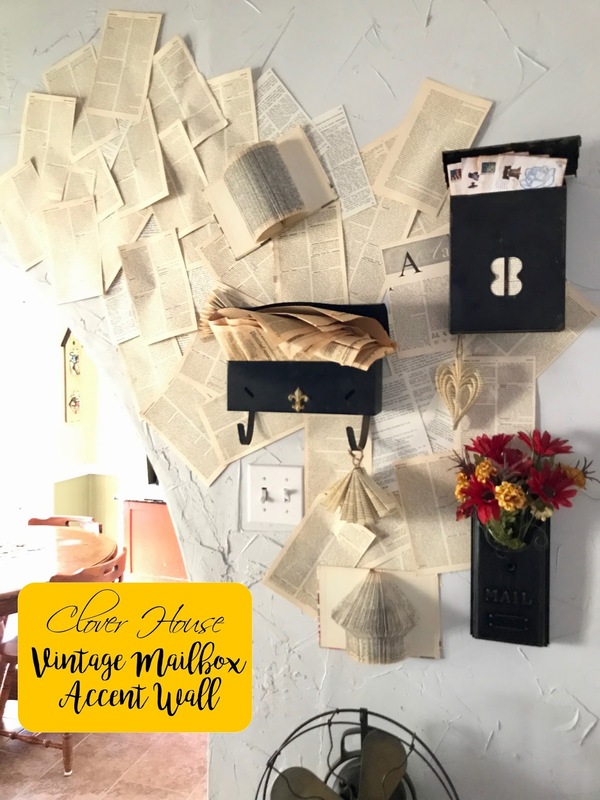 You transformed a plain wall into a work of art that is a showstopper! There is so much texture on that wall and so much interest. I think adding the mailboxes was also a brilliant move. Going to share on my fb page. I also host a link party and hope you have a chance to pop on by and share this great idea with us.